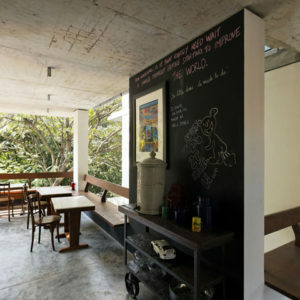 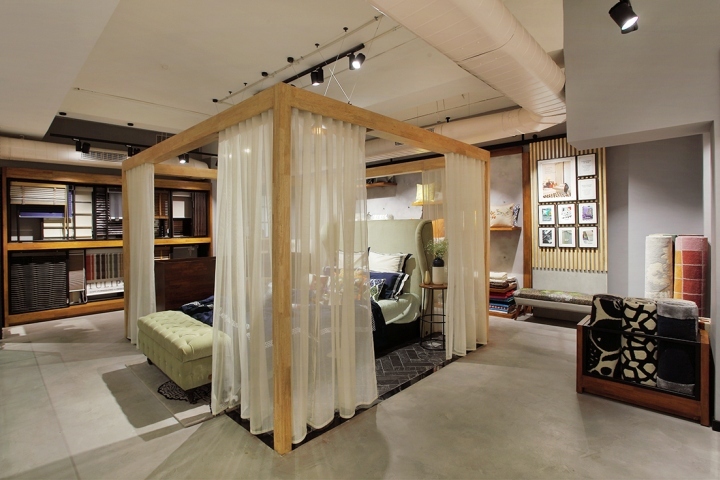 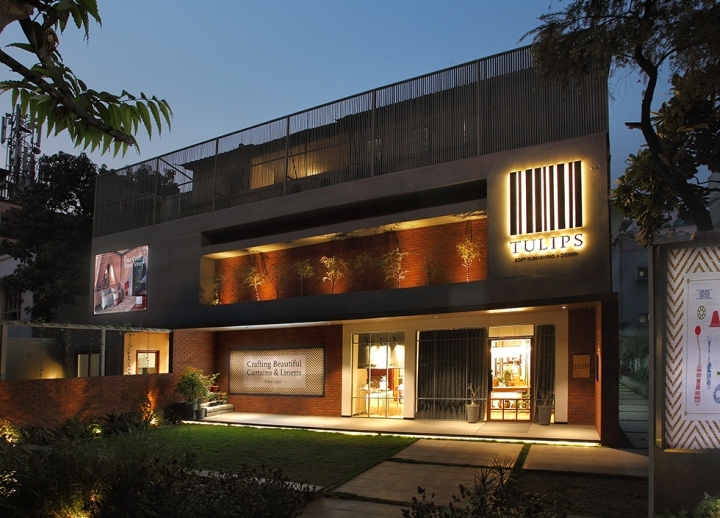 Tulips is India’s leading provider of bespoke soft furnishing designs for homes and hospitality since 1990. 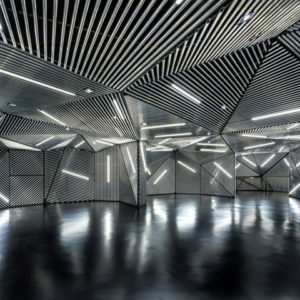 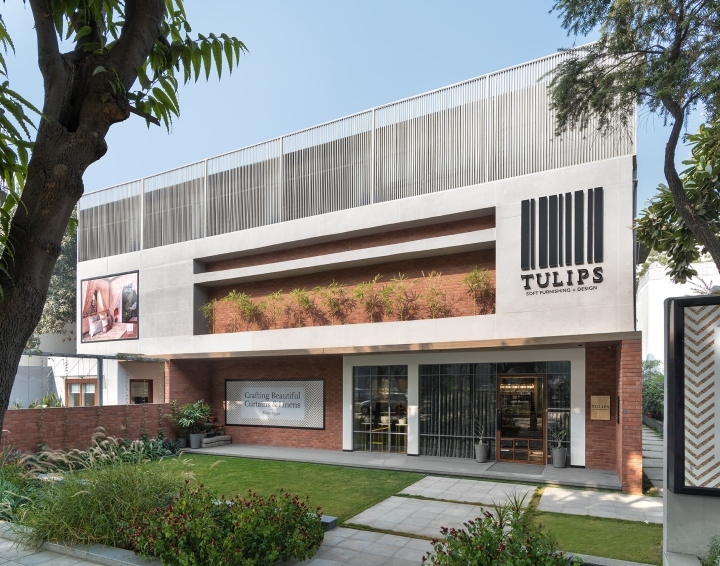 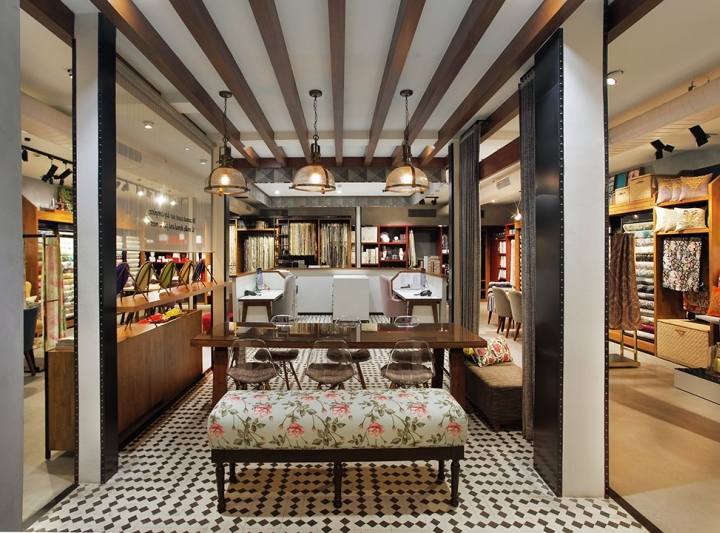 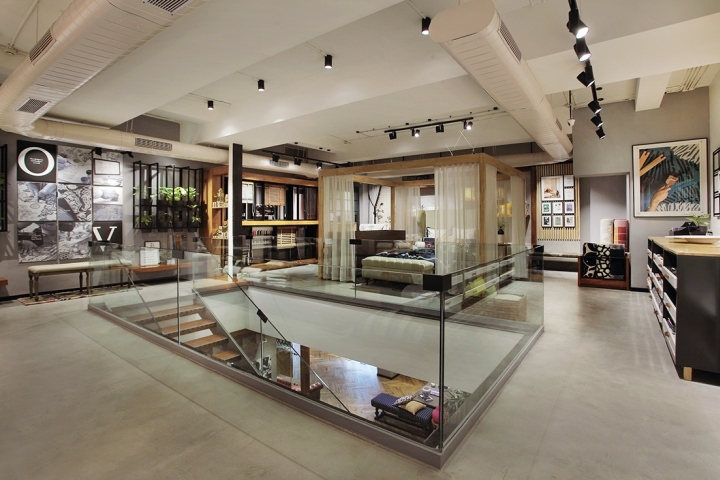 The new Tulips Experience Center at Defence Colony Delhi is designed around its key differentiation, an open design studio, that helps customers to realize their lifestyle dreams by enabling co-creation with in-house décor design specialists and textile craftsmen. 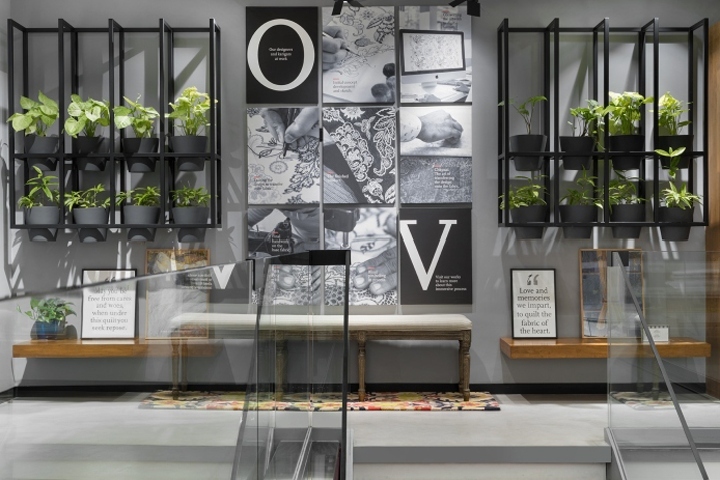 The brand’s vision was to create a premium aspirational space built on the tenements of collaborative curated design, customization and craftsmanship. 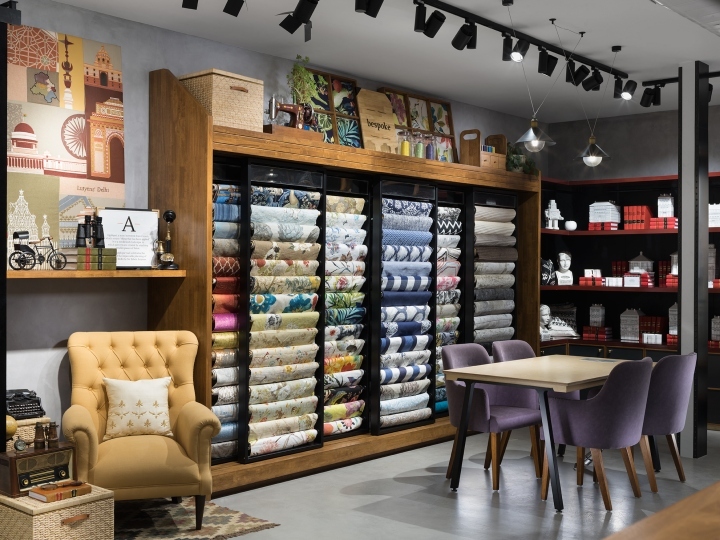 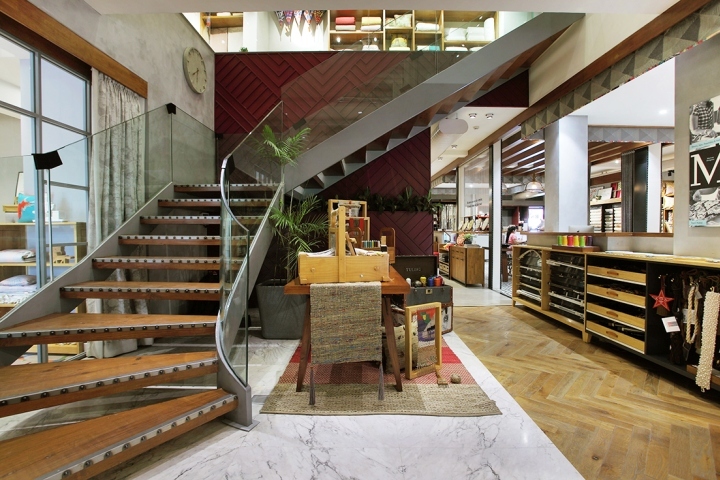 Visitors are welcomed at the store entrance with an art installation of 225 master pattern cutting scissors respectfully surrounding a piece of the brand’s heritage, a sewing machine used by the founder Mrs Rajkumari Mutha when she stated this dream. 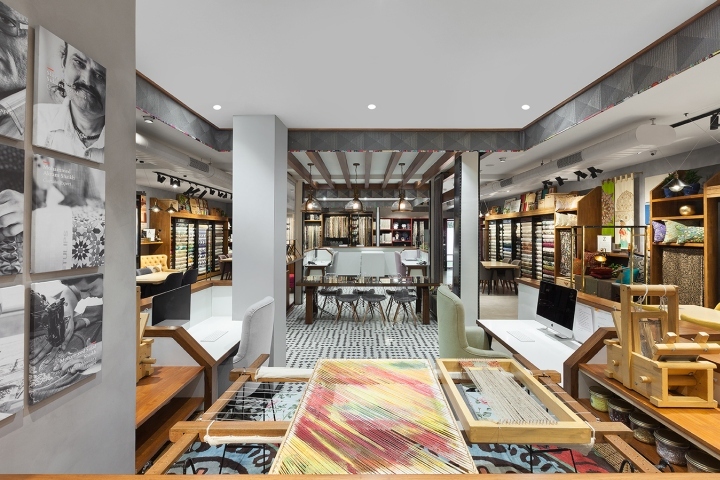 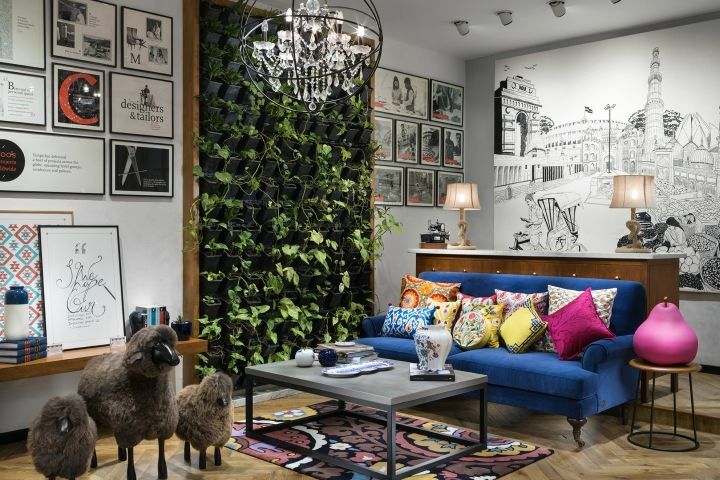 The store reception features a brand history gallery, an exquisite hand crafted applique thread work backdrop, a live green wall and a bespoke crystal chandelier, helps customers feel a sense of a regal arrival in an environment of luxurious lifestyle. 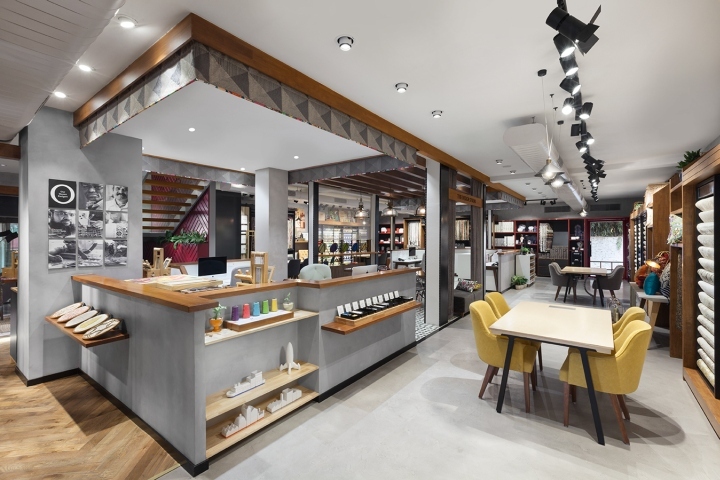 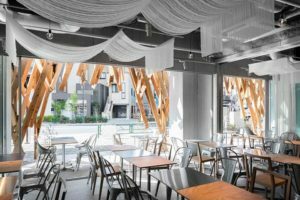 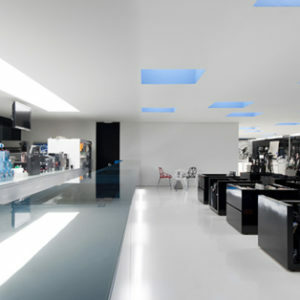 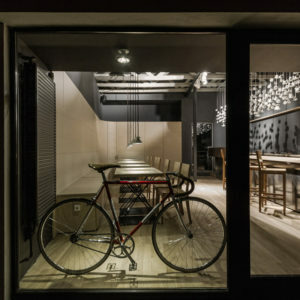 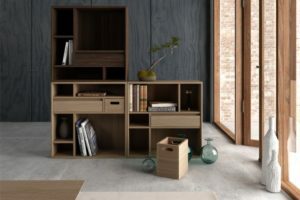 The store layout is planned to facilitate a consultative engagement, distinctly differentiated from a transactional one offered by others players, with the customer both visually and in person. 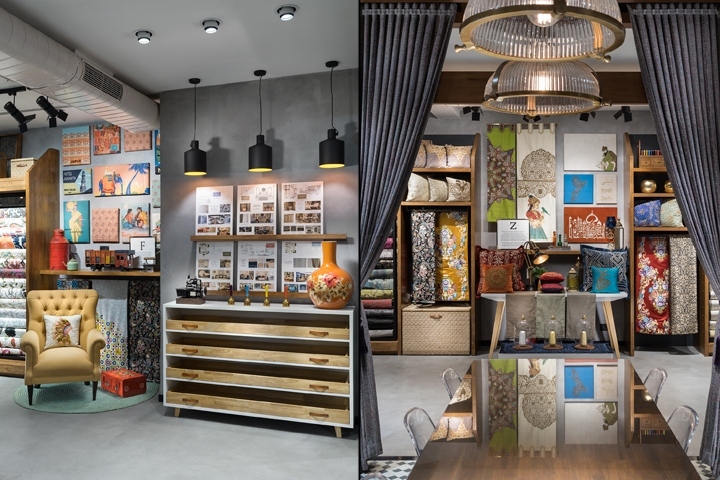 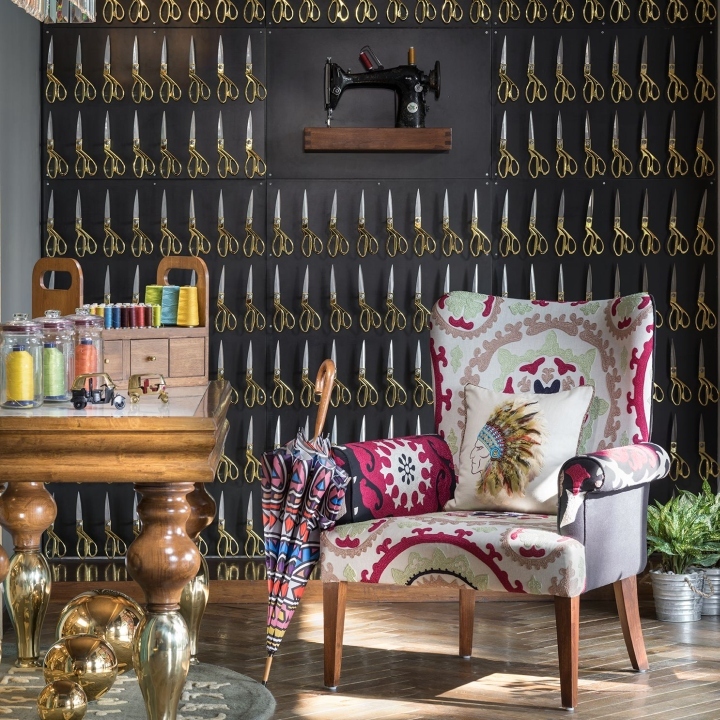 Luxury soft furnishing on the ground floor are literally ‘woven’ around an open bespoke design studio manned by its team of interior design & décor specialists and ‘karigars’ (traditional textile craftsmen). 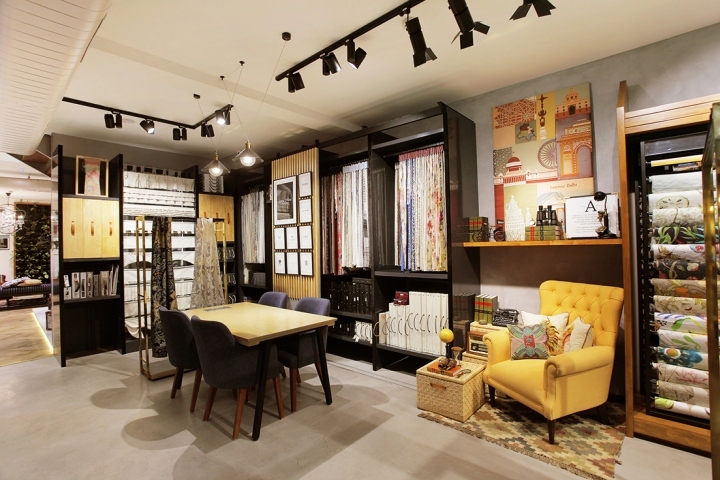 Well organized displays around the design studio display crafting possibilities with samples of buttons, thread, accessories and textile crafting techniques. 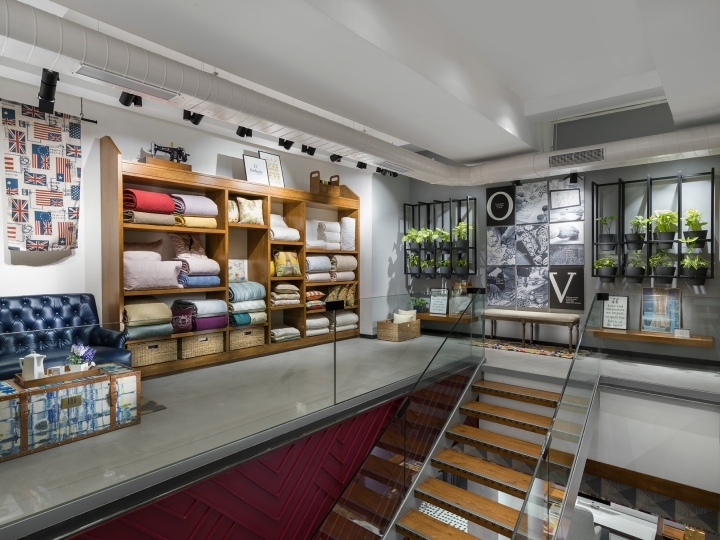 Breakpoints between categories display different Indian textile craftsmanship styles offered by Tulips applied on soft furnishing settings. 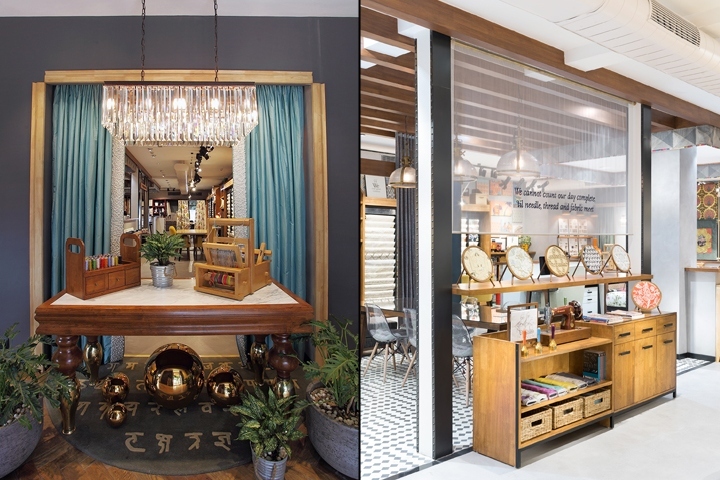 The delightful attention to detail in the exquisite display of product stories, messaging and visual merchandising with installations like the “Artisan scissors mural”, miniature looms, antique luxury travel trunks, framed ‘art pieces’ of crafts help reassure customers of the brand’s commitment to craftsmanship and quality in this very differentiated, aspirational and brand proprietary environment.